Amanda Darwin represents indenture trustees, issuers and bondholders in structured financing arrangements and corporate and municipal debt. 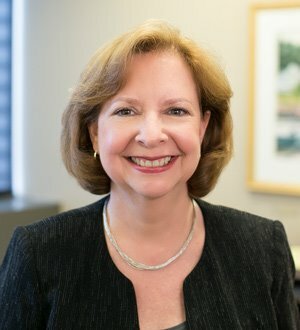 She focuses her practice on financial restructuring, liquidations and redemptions to assist fiduciaries in maximizing recoveries for stakeholders. I practice in banking and finance, focusing on financial institutions acting as fiduciaries in the capital markets. My experience includes corporate debt, municipal debt and complex structured financing arrangements, including CDO, CLO, ABS, RMBS and hedge transactions. In the area of distressed corporate and municipal debt, I have represented indenture trustees, administrative agents and bondholders in some of the largest bankruptcy cases of the last 20 years, actively participating on creditors committees and ad hoc committees of secured creditors. In the area of structured defaults, I represent indenture trustees and hedge counterparties in the wind-down of complex financing arrangements, whether through redemption or liquidation, to maximize recoveries for noteholders. In the area of mortgage-backed securities, I assist trustees in managing risk by offering a broad range of services to monitor claims and litigation and to respond to civil and governmental subpoenas. I also actively participate in firm management, serving on the firm’s partner compensation committee and as a loss prevention partner. I am also active in the firm’s diversity initiative, its pro bono practice and in its branding campaign.